Facebook users are now offered a new feature : posting a link to a photo, an album, or an album's slideshow directly from BlueMelon to their Facebook "Wall" via the BlueMelon interface. 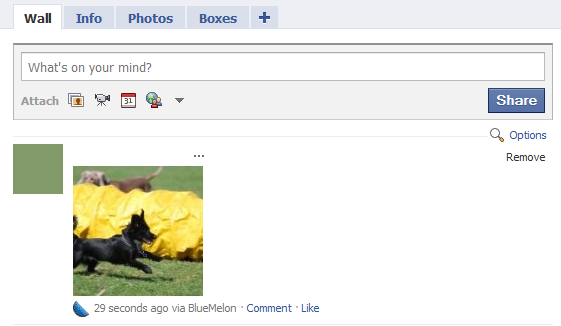 ... you need to be logged in to Facebook and if you are not, you are presented with the login option. 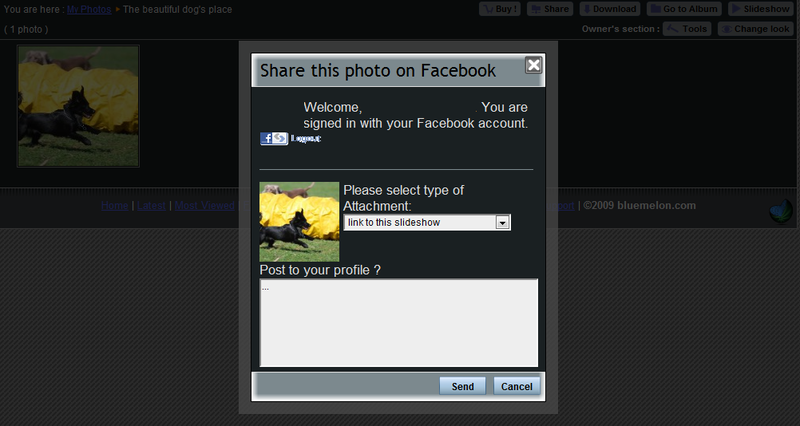 After you have logged in, you may post a link to either a photo, a whole album, or an album's slideshow - this can be chosen in the drop-down menu as can be seen in the screenshot below. You can also type a text that will be posted with the content. ... after you click the "Send" button, a like of this will appear on your Facebook "Wall" - clicking the image opens the BlueMelon's page for the content that you have chosen as mentioned above. Pleasant sharing ... and not only to Facebook users.